The F114 flow computer calculates the actual ratio between two separate flows. 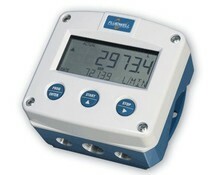 It offers the ability to set one low ratio and one high ratio alarm value. The F124 ratio controller has been designed to ensure that two flows are kept at the same ratio even if flows are changing.